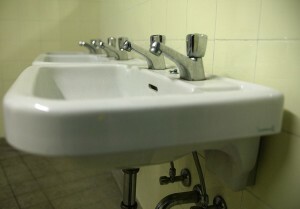 Any bathroom sink, whether it is an old or new model, can get clogged up no matter how much you try to be careful when using it. You won’t even realize it until such time that the water is no longer draining properly. And since the cost of plumbing services is quite costly, as a homeowner, you have to learn how to fix a blocked bathroom sink.. 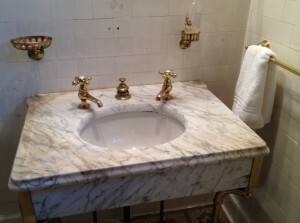 The bathroom is one of the most commonly used areas of the house everyday. And with this, things like hairs, soap, toothpaste, cream, and other substances that are being used in the bathroom can contribute to sink clogging. Even the smallest particles that you peel off from any material that you utilize whenever you do your necessities can also build up and may serve as a blockage after a while. Here are some tips on how you can unclog your bathroom sink. The bathroom sink may not always be completely clogged up. There are also times when it is only partial where water can still go down but not as fast as it is supposed to. In this case, you can try pouring hot water into the drain. If you have soft substances that are blocking the passage, hot water would be the best solution to dissolve them. By mixing a good amount of vinegar and baking soda, you will be able to form an acid that can dissolve whatever substances are in your drain. However, this method may take a while. So, you have to allot some time to it. Wait for at least a couple of hours or more for it to take effect. If needed, you can also add hot water to the solution. A plunger is probably the most effective method that you can utilize when fixing a bathroom sink clog particularly if you are dealing with a complete clog. If it is just partial, you should be able to fix it with a plunger in just a few minutes. You can also combine the methods that were mentioned above if this tool can’t resolve the issue alone.